Party with Pinky – TAILOR MADE THEMED PARTIES FOR BOYS AND GIRLS. TAILOR MADE THEMED PARTIES FOR BOYS AND GIRLS. 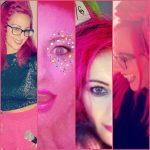 ‘PINKY’ IS JO – I’M THE WOMAN BEHIND THE COSTUME. I BEGAN MY CAREER WITH A DEGREE IN ENGLISH LITERATURE WITH HONS & LAMDA ACTING TRAINING WITH DISTINCTION. I COMPLETED MY DEGREE WITH THE INTENTION OF GOING BACK TO UNI FOR A PGCE TEACHING QUALIFICATION TO BECOME A PRIMARY TEACHER. BUT ONCE I WAS EXPOSED TO THE WORLD OF DRAMA IT MADE PERFECT SENSE FOR ME TO COMBINE THESE 2 LOVES AND BECOME A CHILDREN’S ENTERTAINER. I TRAINED AND AS IF BY MAGIC ‘PINKY’ WAS BORN. I HAVE BEEN BLESSED WITH 2 CHILDREN OF MY OWN WHICH ENABLES ME TO BE UP TO DATE WITH ‘WHAT KIDS LIKE’ AND I’M ALWAYS PICKING THEIR BRAINS FOR IDEAS!! PARTY WITH PINKY IS A COMPLETE KIDS PARTY THEMED ENTERTAINER & ORGANISER FOR CHILDREN OF ALL AGES, SPECIALISING FROM 3 YEAR OLDS TO TEENS, BOYS AND GIRLS. I COVER A VARIETY OF THEMES FROM PRINCESS TO SCIENCE, FROM SUPERHEROES TO UV DISCOS, FROM SCIENCE TO MAKING BEARS AND EVEN SLIME. PARTY WITH PINKY IS DEDICATED TO CREATING THE PERFECT THEMED PARTY FOR YOUR CHILD TO REMEMBER IN YEARS TO COME WITH FOND & HAPPY MEMORIES. BEING A MUM MYSELF ENABLES ME TO ADD THAT SPECIAL EXTRA CARING TOUCH. THIS IS MY CAREER, MY BABY, MY ONLY JOB AND PASSION AND I BRING THAT LOVE TO EVERY PARTY I DO. I AM THE ENTERTAINER AT EVERY PARTY BOOKING, I COME DRESSED AS THE THEME CHARACTER YOU CHOOSE & OVERSEE EVERY ASPECT OF THE PARTY. I TREAT EACH & EVERY PARTY WITH THE SAME LOVE & ATTENTION TO DETAIL AS IF IT IS FOR MY OWN CHILDREN BECAUSE EACH PARTY IS A SPECIAL ONE!! THESES JUST NO PARTY LIKE A PINKY PARTY!! © 2019 Party with Pinky . Powered by WordPress. Theme by Viva Themes.